You'll be modelling garments and other apparel, health & fitness products, and promotional materials for an urban shopping website based in London. The creative photographer will capture you. You need to have some experience on it. Beginner accepted. Send your portofolio by mail. 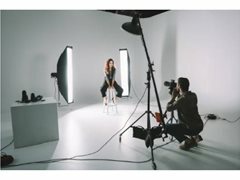 You'll be modelling garments and other apparel, health & fitness products, and promotional materials for an urban shopping website based in London. The creative photographer will capture you.